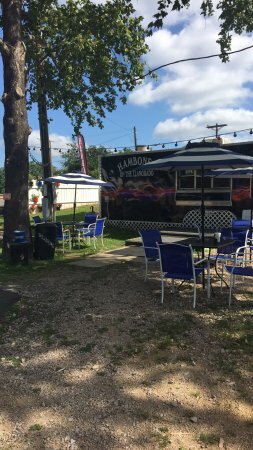 There aren't enough food, service, value or atmosphere ratings for Hambones on the Llanorado, Texas yet. Be one of the first to write a review! Able to pull up by boat and eat, go to the bathroom and can relax while we eat. 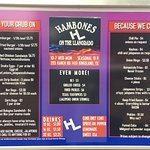 The rattlesnake eggs and burgers were awesome. 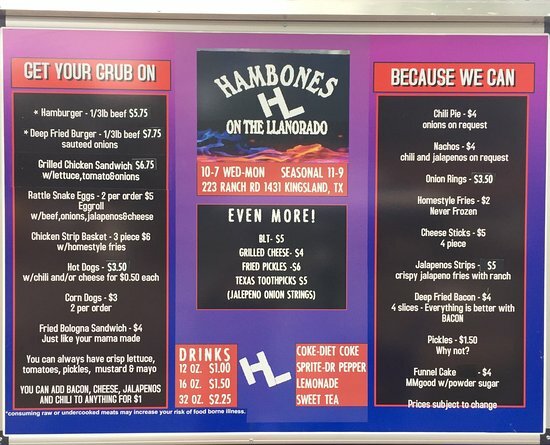 Get quick answers from Hambones on the Llanorado staff and past visitors.